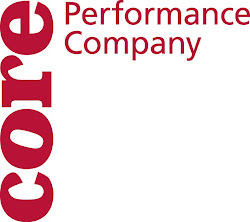 CORE Performance Company: the point? so what is the point, or "the point" (as a dance)??? i don't know...and maybe that is the point. i probably can't explain it in words...because we are dancers...we dance (duh). it is a performing art...it is meant to be seen. in this video, claire is trying to explain her point of view as a dancer in the trio that corian created. maybe the point is about differences and similarities, relationships and solo studies, intention and dynamics, needs and wants...it is hard to put into words, but i think individually we all clearly know what it feels like personally. how else can we move an audience, if as performers we are not clear with ourselves as to what our own personal journey is...so that then as a collective we can move foward in this endeavor together. what is even more beautiful is that Sue (our fearless leader) doesn't even know what "the point" is...i'm sure she has ideas, but the fact that we are all in this together is comforting. maryjane yesterday said something that spoke volumes about this dance (the point)..."we are all going for the same thing, but trying to find it in different ways." of course, this is my own recollection and experience of the work...and it was beautiful, heartbreaking, bonding, lush, and simple...all in all, it was a good day...another day we all got to live, work...and most of all dance. tomorrow we have class, a little bit of work...and then a christmas party, but no more point work...so it begs the questions: What is the point? What do you need to survive? what is your intention? what dynamic choices do you make? and lastly, how does it feel? once you have possibly answered those questions...i ask you this...where do you go from there? you go inward, to keep going on.